A small step to the Moon but a giant leap for Avoid Dave. 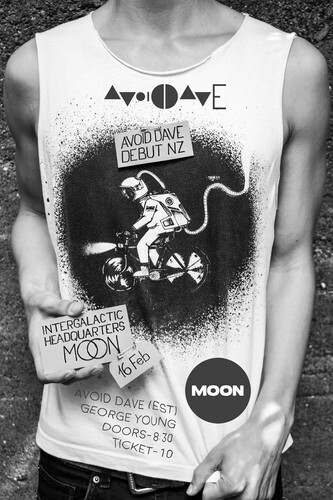 Avoid Dave is a soul-electronica act from the border where the bright and dark side of the Moon meet. Debut concert in New Zealand and first time on this side of the planet. The awarded light and dark matter infused artist brings you to a balanced point of singularity making you feel as one with everybody in the room. Personal. Honest. Intimate. Spacious. A New Zealand multitalented singer, beatmaker and so much more counting down for liftoff when the beat drops. See you at the launch site!